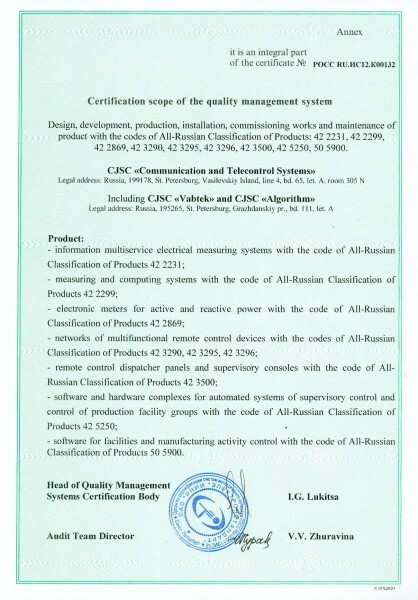 Products used in our technical solutions comply with state standards on electric safety and electromagnetic compatibility, included in the state register of measuring equipment. 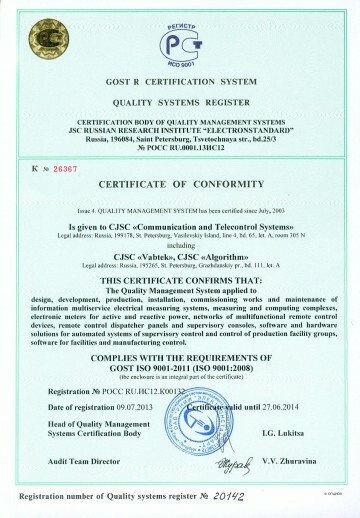 Our software is included in the state register of computer programmes, this is confirmed by the Russian Patent and trademark agency. 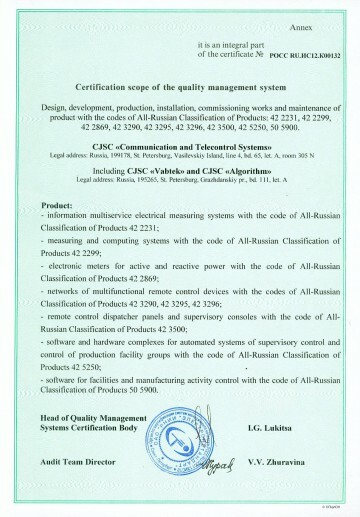 Certificate for quality management system applied in Algorithm.